Hello my BEAUTIFUL BRAIDERS!!!! 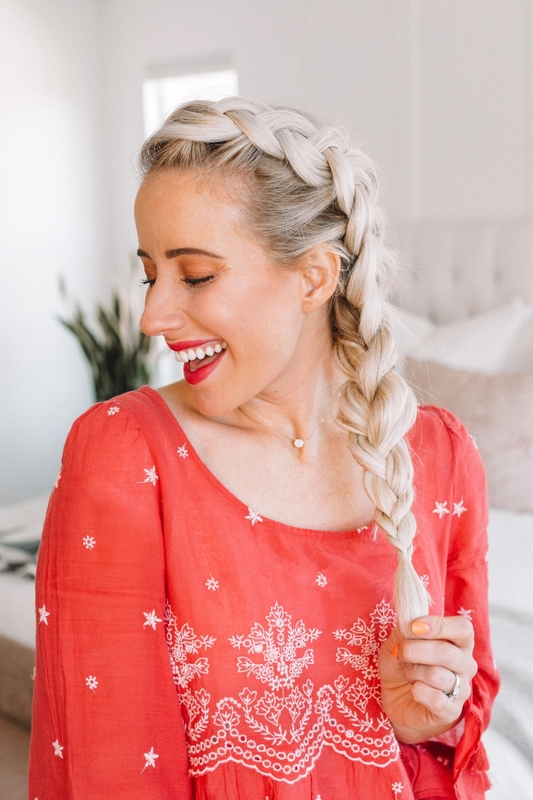 I’m so excited about this week because we’re onto my very favorite braid, the dutch braid. 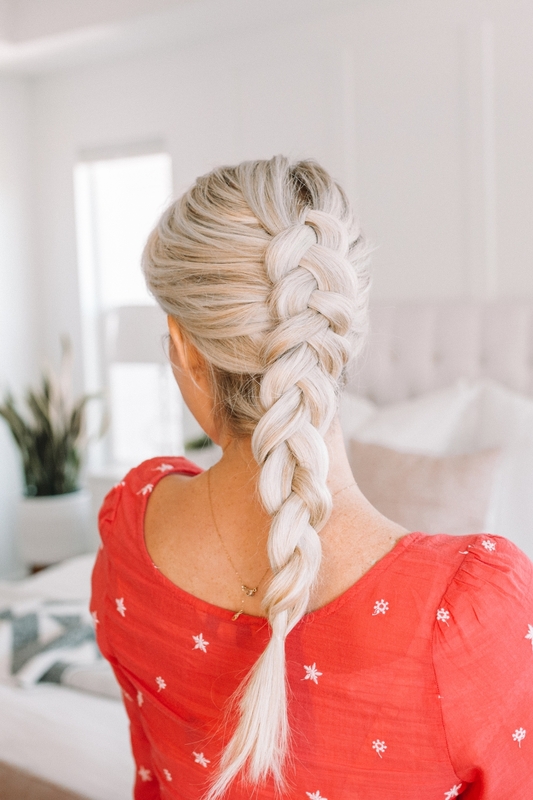 We are on day 8 of our Learn How To Braid Challenge, if you missed it, you can’t catch up here. 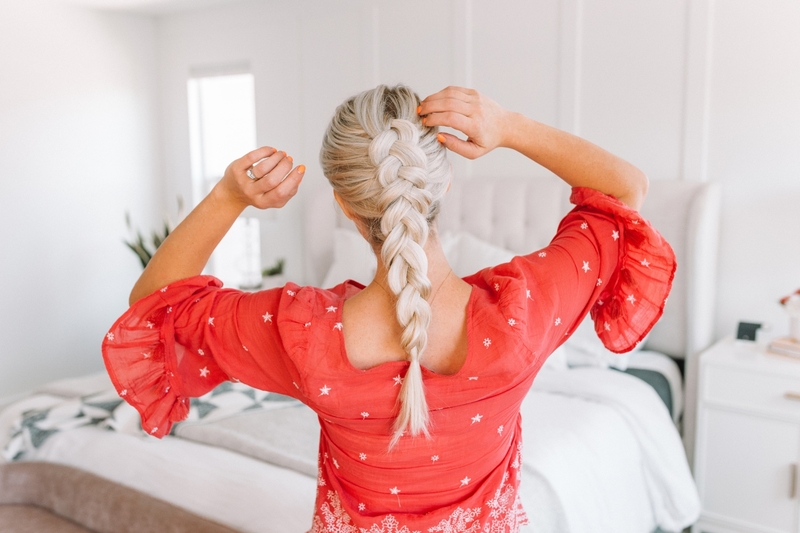 In a nutshell we’re doing 30 hairstyles in 30 days, each week focusing on a different type of braid so that beginners and experts alike can benefit from the challenge. 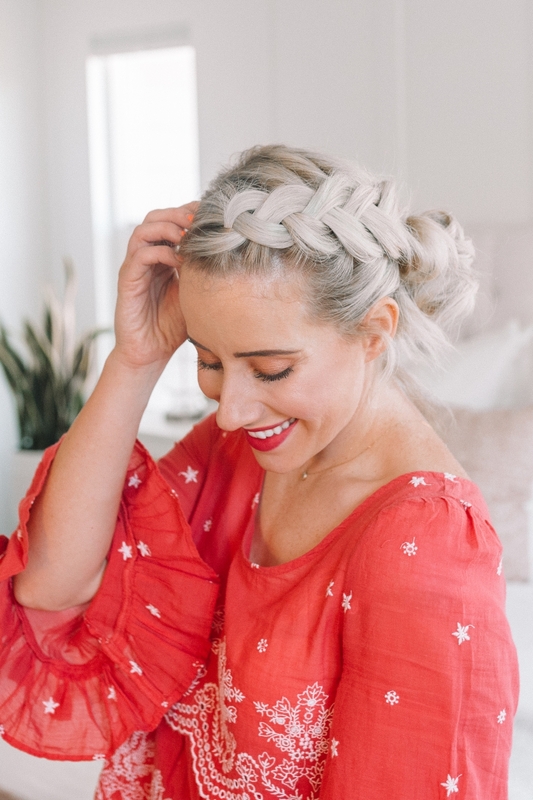 We’re sharing our styles on instagram using the hashtag #30in30twistmepretty and every night I’ve been sending out info on the hairstyle for the next day. It’s been AMAZING! 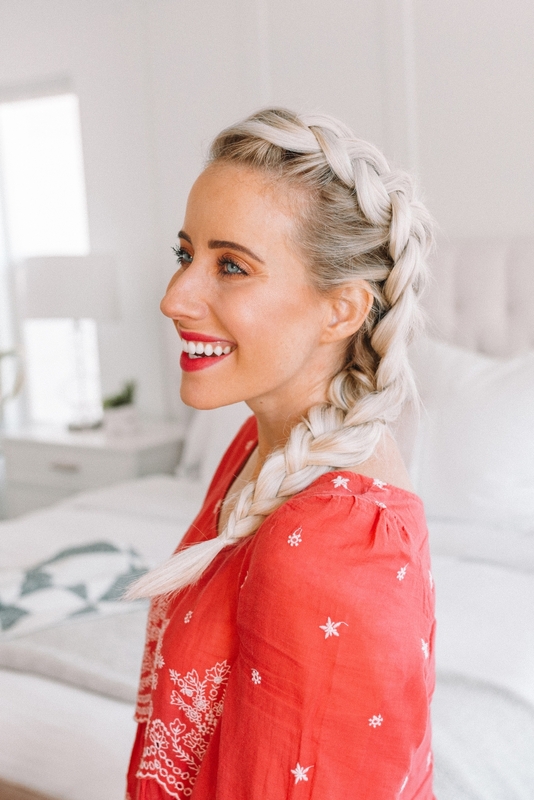 I’ve gotten such great feedback from you guys and there are literally hundreds of women who have finally learned how to braid after years and years of trying. There are over 2,500 posts in the hashtag we’re using and every day I get so excited to see what you’re all coming up with. It’s been such a fun challenge and I’d love for you to join us!!! Just sign up for my newsletter here and I’ll start sending you the braids we’re working on! 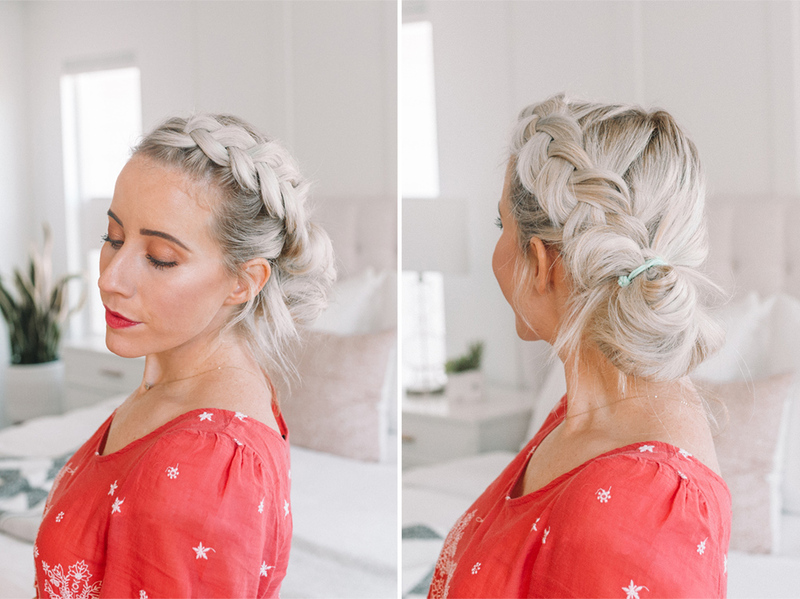 Today, and this week, it’s all about The Dutch Braid! ***If you’re struggling with the braids falling out, invest in a dry texture spray. 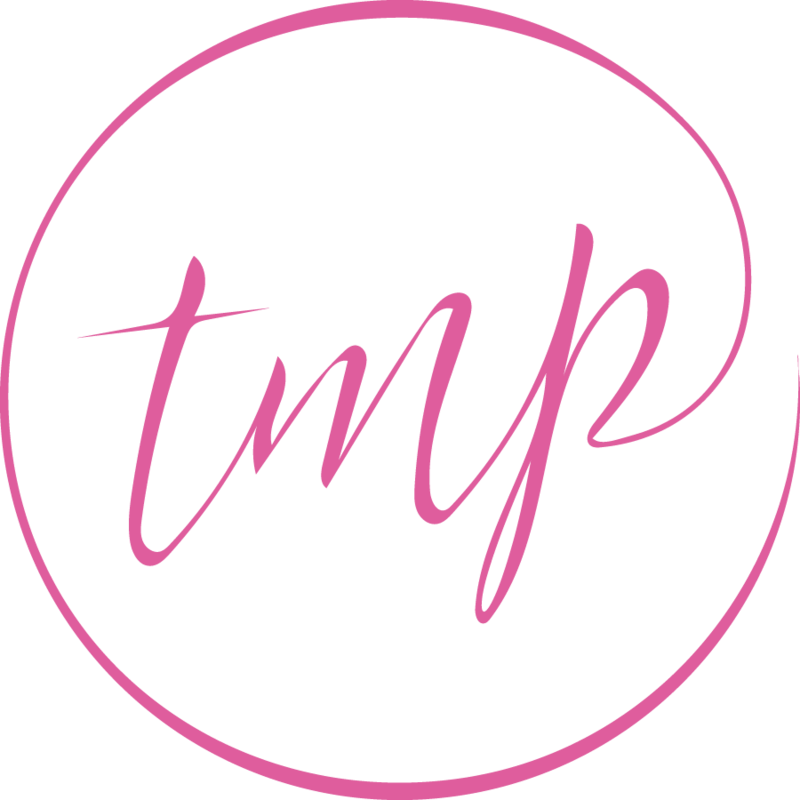 This is my favorite and I personally think it’s worth the splurge cause it lasts FOREVER but I gotcha covered and here is a great dupe if you’re looking for one! I’d also invest in a dry shampoo. This is my favorite because it actually makes my hair feel more fresh but I also really love this one and this one if I need to wash it soon anyway or am looking just for texture. 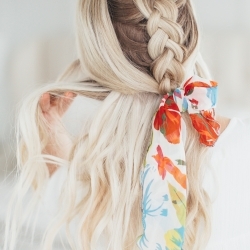 The dutch braid is BEAUTIFUL! It has amazing texture, it pops off the head and shows all the colors in the hair and you can stretch it to make it look like you’ve got more hair than you actually have. 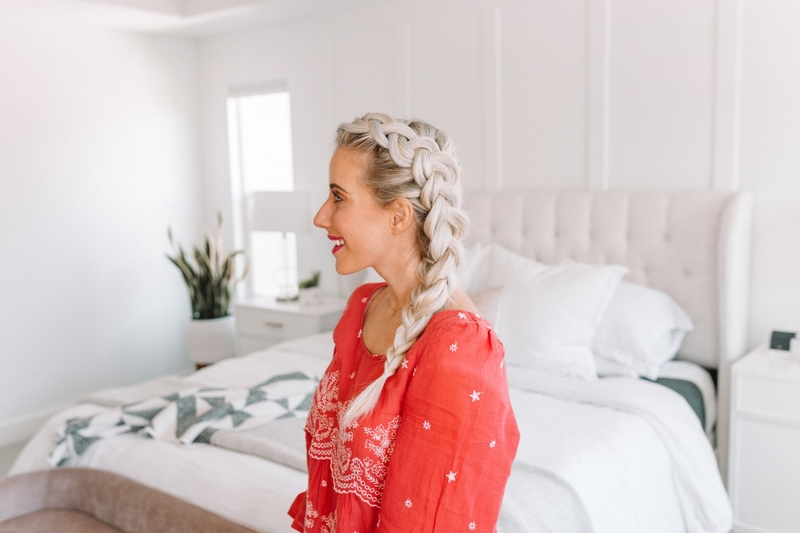 I incorporate the dutch braid into so many hairstyles and this week YOU ARE GOING TO LEARN IT!!! Not to brag or anything, but I’m a GREAT teacher hahaha!!!! Seriously though. This tutorial is insanely detailed and if you follow what I say, I promise you’ll be able to pick it up. Practice makes perfect though. You’ve gotta practice it!!! I go over all the details, what fingers should hold what strands and helpful tips on how to get it right in the video so make sure to watch it. You got this! 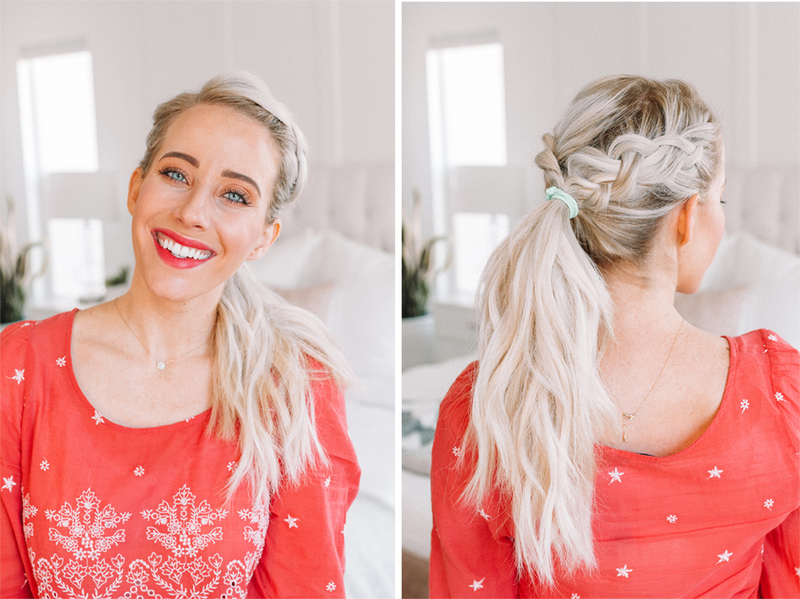 Double Dutch Ponytail: This is one of my most cherished hairstyles! It’s two simple dutch braids combined into a ponytail. 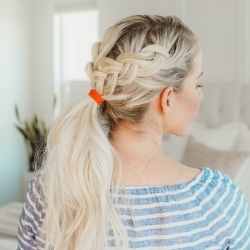 Dutch Braided Messy Bun: Then we’ve got a messy bun, of course. This is my go-to hairstyle when my hair is a greasy mess and I’ve got zero left over curls because it desperately needs to be washed!!! 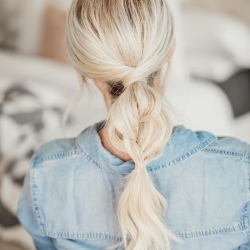 Throw in some dry shampoo and do this hairstyle — it’ll get you by a couple extra days without washing haha!! 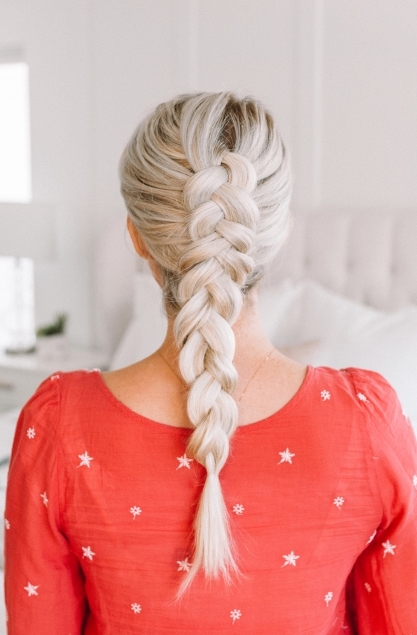 And then of course, our Dutch Side Braid. 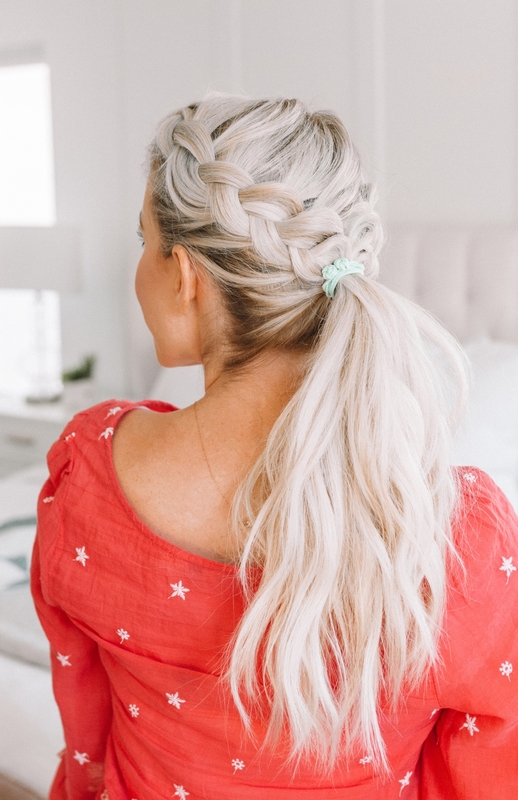 This one looks AMAZING with extensions, (my two favorite brands are Laced Hair Extensions and JZ Styles) they make it all big and Elsa-esque! I wear this hairstyle all the time though without extensions so don’t let the super full braid scare you off if you have fine or thin hair. Spray some texture spray in it, or some dry shampoo and DO IT!!! 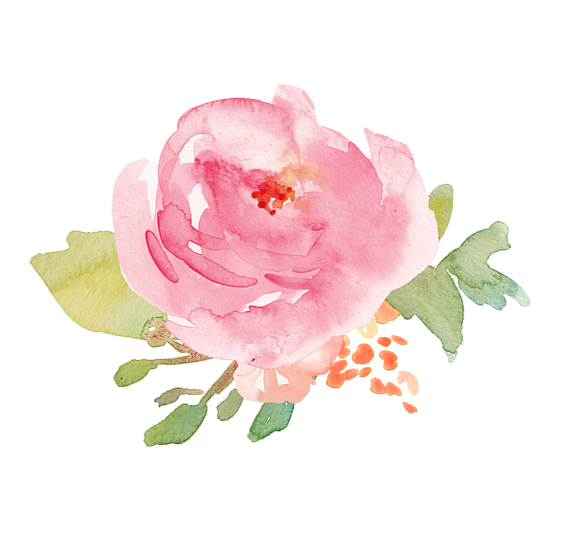 It’ll look so beautiful on you and I swear you’ll feel like a princess all day long. And that’s it! Watch the video and get involved in this challenge!!! At the end of the month I’m turning it into a braiding course so it won’t be free forever. But it’s free now. SO SIGN UP! DO IT WITH US!!! I don’t want to hear you whine and complain about braiding anymore because seriously, I CAN TEACH YOU HOW! And I will. And I am. CAUSE I’M AWESOME. And passionate. And I know you can do it. And the emails I’m getting from newbie braiders FINALLY getting it are make my whole entire life right now! So do it. Sign up. And make your sisters and best friends join you too!!! And if you’re feeling so inclined, share this to one of your beauty boards on Pinterest to help spread the word!! Thanks loves! And we’ll see you soon on Instagram!